Dr Fred Sager is Wilton Manors best chiropractor treating all forms of spinal injuries. With his holistic approach patients are healed naturally without medicine or violent adjustments. Dr Sager’s success is proven with his 20+ years of successful treatments of many patients. 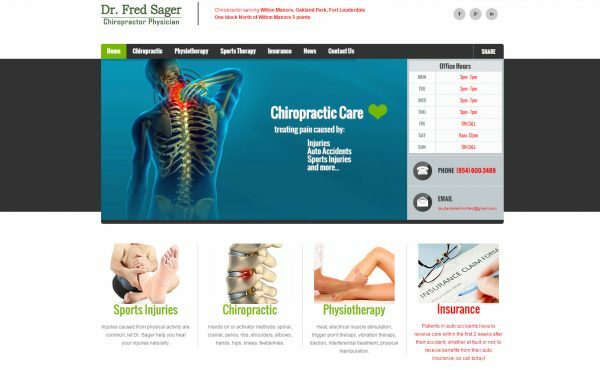 This website was designed to advertise his services and educate his clients on the benefits of chiropractic care.